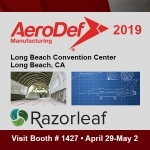 Watch Razorleaf’s latest products demos and training session videos. Razorleaf’s Sara Murray walks you through another Autodesk PLM 360 feature: REST. Derek Neiding walks you through an overview of Clover. Discover how to leverage workflow state Milestones as part of Project Execution & Tracking in Autodesk PLM 360. Get familiar with the terminology used in Autodesk PLM 360. A recent implementation of Autodesk PLM 360 provided a perfect opportunity to try out the collaboration capabilities of Autodesk A360. In this video, you can see the steps taken to set up a project (accessible by invitation only) and create and populate folders. There are many cool features such as its ability to render files from over 100 design and file formats. See why it is a unique and helpful tool for design collaboration. If your PLM 360 Additional Owners field requires cloning you will need further configuration & scripting. Watch this video by Sara Murray to understand the steps! Sara Murray demonstrates for a power user how to apply best practices when setting up and administering user security in Autodesk PLM 360. Follow along as Razorleaf’s Sara Murray shows Autodesk PLM 360 users how to set up scripts and administrative rights & routes to automatically move a cloned PLM 360 item to the same workflow state as the original. Learn how to import legacy items & BOMs into Autodesk PLM 360 with revisions. There are some “gotchas” to this we will guide you through. This tutorial video walks an administrator through the steps of identifying and managing users, groups, and roles in Autodesk PLM 360. Learn how to quickly manage and adjust permission settings for users in this 5-minute instructional video. Razorleaf’s DriveWorks EPDM Numbering Plug-in lets users assign part numbers (and other numbers) from EPDM to their DriveWorks models, drawings, and other deliverables. 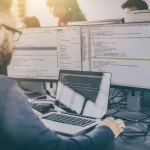 Not only are numbers assigned from EPDM, but the DriveWorks deliverables can be places back into EPDM and connected with the numbers which they were assigned. Short introduction to Office2PDM 2.x, the MIcrosoft Office integration for SolidWorks Enterprise PDM (EPDM). Razorleaf’s DriveWorks Backup and Restore Tool gives users and administers the ability to easily backup, share, and restore all of the various files needed by a DriveWorks implementation. Razorleaf offers a free version as well as a paid version with advanced features. Screencast showing DriveWorks connected to SolidWorks and SolidWorks Simulation for driving the design AND analysis of a bracket.